Updated Monday August 21, 2017 by POB Soccer. Effective August 2017, the grouping of players will also change nationwide, with encouraged adoption of best practices in August of 2016. U.S. Soccer will go back to calendar birth years to align with international standards and Youth National Team programs. US Youth Soccer will implement the best practice of calendar year age grouping for player registration beginning with the 2016-2017 soccer year for US Youth Soccer programs and competitions. Using the school calendar for age groups is practiced only in the United States and Canada; as all other FIFA members go by the calendar year. 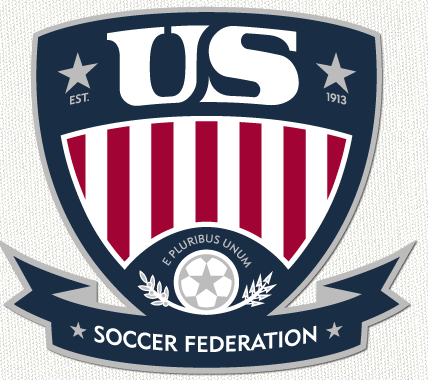 US Youth Soccer, a respected leader in player development for more than 40 years, has seen the evolution of the game and various changes. The US Youth Soccer Olympic Development Program has used the birth year for the grouping of players since it was established in 1977. In fact, the James P. McGuire Cup, the oldest trophy in youth sport, awarded at the annual US Youth Soccer National Championships also shows the history of teams named for their calendar year age group. Birth-year registration calendars will now align with the start of the calendar year and run from January to December, rather than August to July as it had previously. For example, a U-15 player (players 15 years old or younger) would have a birth year of 2000 (Jan. 1 through Dec. 31) for the 2015 registration year. In 2016, U-15 players would be born in 2001 or earlier. Birth-year registration applies to all player age groups and not just players age 12 and younger. The initiative will align registration with the international standard, while simultaneously providing clearer information on player birth dates to combat ‘relative age effect’. Relative age effect refers to the selection bias related to players that are more physically mature than their peers due to being born earlier in the year. U.S. Soccer seeks a balance of players that are born throughout the year so that all players, those born in the earlier months, and those born later have equal opportunity to grow and develop as soccer players. The birth-year registration initiative will not cause the dissolution of age-group based teams that already play together, but will rather give players the opportunity to ‘play up’ with older age-groups. External links are provided for reference purposes. Plainview-Old Bethpage Soccer Club is not responsible for the content of external Internet sites. Copyright Plainview-Old Bethpage Soccer Club All rights Reserved.